Neil Gaiman doesn't photograph well. I don't mean that he's unattractive or that you can't find professional photos of him that look pretty good, but trying to photograph him in person was impossible. Every picture I took came out blurry. The picture to the left was the best one I managed to get last Sunday. This has happened to me before: once in Roslyn Church in Scotland where no matter how close I got, I couldn't photograph one of the Green Men sculptures on the wall of the church; and another time in Nebraska, when the BF and I couldn't photograph this interesting-looking log on our tree adventure. I like to think that the spirits inside these objects resist photography, that they have all this energy swirling around them that prevents the machine from working properly. And I now think that Neil Gaiman has this as well. The man radiates charisma, and it screwed with my camera! As crazy as this theory sounds, it's right at home in the world of Gaiman's books. The manipulation of energy that comes from things like prayer, worship, obsession, and desire is one of the major themes of Gaiman's book "American Gods." To summarize, "American Gods" is about a man, Shadow, who finds himself in the company of several shabby gods and mythical creatures who emigrated to America in the minds of their worshipers, only to find that "this is a bad place for gods." Without worship and prayer, the gods are forced into lives of crime and prostitution while new American gods--gods of technology and media--arise to challenge them for the souls of the American people. 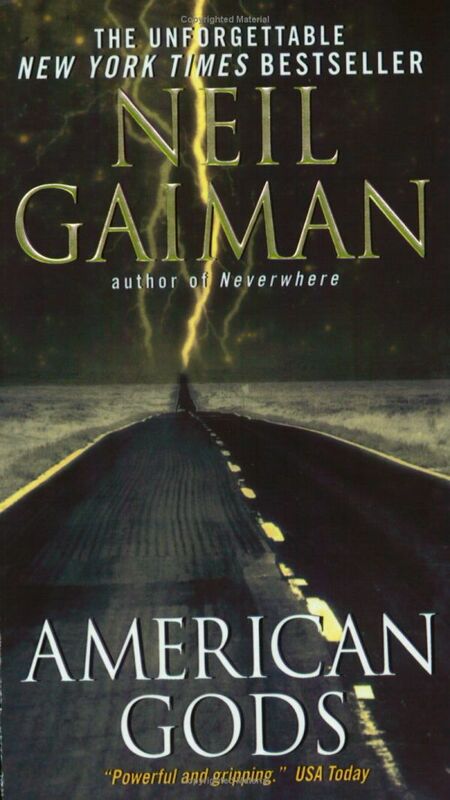 Gaiman wrote "American Gods"--one of his few adult novels, I think there's only two or three others--after moving to the United States and discovering that it was nothing at all like what he had pictured from movies, music and literature. "It's a weird place," he said at the New Yorker Festival. "Winter can kill you. And no one the Midwest seemed to have a problem with that. Do you people not know this is odd?" He wanted to write a book that would capture the "wonderful, glorious oddness" of America, and he wrote a great deal of it while driving across the country on various Gaiman-adventures (I assume he has many adventures, he seems like that kind of guy). "You can't drive in England for long distances, you run out of country," but in America, he drove for hours and days, always on back roads and secondary highways, discovering ghost towns and eerie roadside attractions that formed the backdrop of his novel. "American Gods" is very much an American road trip book. It's also pretty obviously written by someone who isn't an American, and I mean that as a compliment. 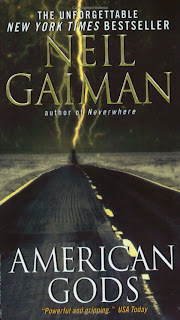 Gaiman writes America from a perspective free of American cultural baggage. His scenes set in the modern American South or on American Indian reservations are devoid of any but the most superficial talk of race relations; scenes set in San Francisco or New York absent themselves from the politics and struggles we associate with these bastions of liberalism; the Midwest is spooky and weird in a way you'd never expect. And because "American Gods" is about immigrants and foreigners struggling to understand their new home, this perspective works. Gaiman's American still feels like a true and honest portrayal of America (at least to this American), but the fact that it's being presented by an immigrant who finds everything so gloriously odd makes me see my country with fresh eyes. Yes, we are weird! This is a weird place, the whole great mass of it, from Pacific to Atlantic, from Great Lakes to Rio Grande. You've never seen an America like the one in "American Gods." And if you never read any of Gaiman's other work, you should read still read this one. He's created a rare and wonderful analysis of America's soul, and even though he's English, I never felt more of an American than I did after reading this book.